The Fist of Khonshu would be better off with a show on Netflix than to be limited to 2 hours. 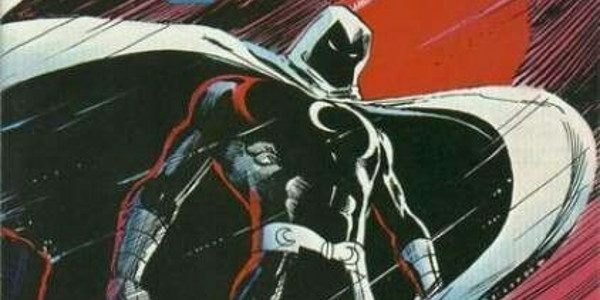 Marvel Studios head Kevin Feige has gone on record saying he wants Marvel’s Moon Knight as a movie. Personally, I think this is the wrong direction for the character. Moon Knight is the type of character that would lend better to the Marvel heroes on Netflix. Why do I feel this way? Unless you’re a comic reader, you may not be that familiar with Moon Knight. On the surface, he seems like another Batman imitation. But as you read his comics you begin to understand that he’s more complex than that. A hero who has multiple personality disorder. A son of a rabbi that serves the Egyptian God of vengeance. A man who’s strength waxes and wanes with the phases of the moon. In the comics, Moon Knight first appeared in Werewolf by Night #32, created by writer Doug Moench and artist Don Perlin. He was originally a villain who had a change of heart. A villain based on the moon for a werewolf. Makes sense if you think about it. From there, he became a hero and popped every now and then. Then he appeared as a backup story in the black and white Hulk! Magazine. Doug Moench continued to write Moon Knight, but he was joined by artist Bill Sienkiewicz. The series was a hit and Moon Knight became a popular character in the Marvel Universe. After the first series ended, Moon Knight became an Avengers and had several other series since then. It was Sienkiewicz’s re-design of Moon Knight’s costume, and how similar at the time, his art style was to Neal Adams, that many people though Moon Knight was a Batman knock-off. Moon Knight origin is as such, Marc Spector, the son of a rabbi, was a soldier of fortune. He was betrayed by fellow mercenary Raoul Bushman and was left to die under the statue of the Egyptian God of the Moon, Khonshu. Khonshu revived Spector as his fist of vengeance. Spector defeats Bushman and then takes up the costumed identity of Moon Knight. Spector also establishes two other personas. One of millionaire entrepreneur Steven Grant to fund his operations as Moon Knight. And taxi driver Jake Lockley to maintain contact with the street and criminal contacts. These are the four personalities that makeup Moon Knight. Over time these separate personalities cause multiple personality disorder in him and lead to conflict within himself. Moon Knight is a brutal fighter. He comes close to killing his opponents. He also gains strength from the phases of the moon. The fuller the moon is, the stronger Moon Knight becomes. His arsenal included throwing star-like crescent darts, a truncheon that could convert to nunchucks or a grappling hook, and his cape would allow him to glide short distances. He also had a strong supporting cast. His friend and former fellow mercenary Jean-Paul “Frenchie” DuChamp. Marlene Alraune, his lover, who only refers to him as Steven, not Marc. Diner owner Gena Landers and her sons Ricky and Ray, who are street contacts for Jake. And the homeless Crowley, who is also a street contact for Jake. It’s a very diverse cast of characters. Each one of them only refer to Moon Knight in a different personality. Throughout the years, various writers have explored Moon Knight’s different personalities and the toll it takes on him. It’s because of the complexity of the character there is no movie that could do the character justice. In a movie, you usally have a minimum of 120 minutes to tell a story. That’s only 2 hours. A lot of what makes up Moon Knight could get lost in this short time frame. On a Netflix show, you usually have 8 to 13 episode to tell your story. That is plenty of time to explore Moon Knight’s motivation and character. In the comics, Moon Knight has always been more of a street-level hero than like Captain America. This is another reason why Moon Knight would fit well into the Netflix heroes. It is very easy to ground Moon Knight. They have already done it to other Marvel heroes. 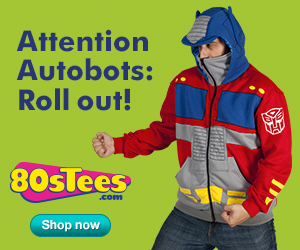 Even the costume doesn’t necessarily need to be the iconic classic one. On writer Warren Ellis run in 2014, Moon Knight’s costume was a white 3 piece suit, with a white shirt, tie, and gloves. Plus a full white face mask. To me, that’s easy enough to make. If cosplayers can do it, then why can’t Disney do it? No reason to over complicate things. There are plenty of villains that can be adapted to TV. Obviously, you’d want to have Bushman as part of the storyline. Other possible villains could include the Black Spectre, who is really a son of a washed-up NYC mayor. The Committee, a group of criminal businessmen. And finally Moon Knight’s psychotic younger brother, Randall. Even if you don’t go with these villains, there is still plenty of possibilities. So, as you can see with a character as complex as Moon Knight, the best logical step should be Netflix and not a movie. Sorry, Feige. Disney just bought Fox, which means they got the rights back for X-Men and Fantastic Four. Go work on films for those characters, and leave Moon Knight alone.